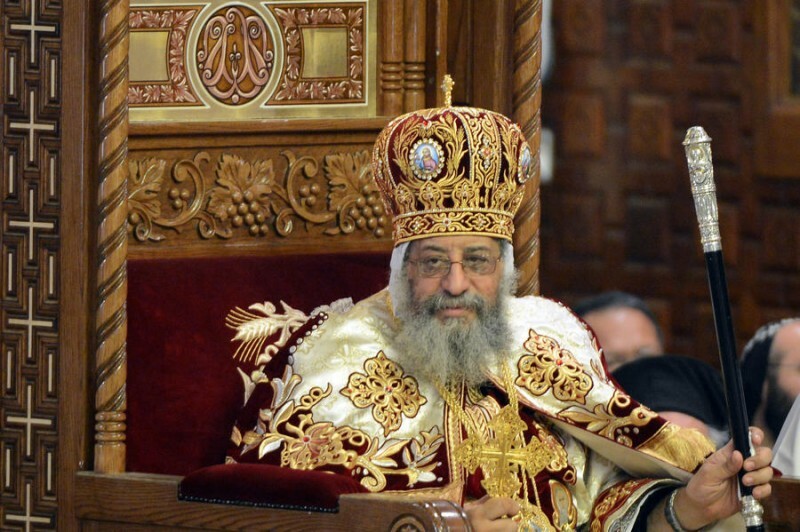 CAIRO – Preparations are in full swing for an expected visit to Moscow by Egypt’s Coptic Pope Tawadros II, his first trip to Russia since taking the helm of Egypt’s Coptic Orthodox Church in 2012, a church source said Wednesday. According to the source, Father Rafael, secretary of the Holy Synod of the Orthodox Church, travelled to Russia on Wednesday on an undeclared visit to prepare for Tawadros’ upcoming visit. “The date of the visit, which will aim to strengthen relations between Egypt and Russia, will be decided once the necessary preparations are made,” the church source, who spoke on condition of anonymity, told Anadolu Agency. Relations between Cairo and Moscow have picked up dramatically since last July’s ouster of elected president Mohamed Morsi by the army. Last November, Pope Tawadros II met with Russia’s ambassador in Cairo and lauded Russian support for Egypt. Egyptian army chief Abdel-Fattah al-Sisi visited Russia in mid-February amid reports of a major arms deal between the two countries.